Axle/Gears: dana 44 f.body 3.31 gears. Excuse the pun but you have the "pain in the rear disc" on that dana. I run what the gear manufacturer recommends. In my case, I have Richmond Sportsman gears and they suggest 75-140 synthetic. You have to be careful here as the posi units have different needs. With the TracLoc posi I have, I'm running GM's additive. Prior to that, the 9 bolt I had (with it's cone style clutches) responded well to the Ford additive. Hardly conclusive regarding what the posi needs however those are my results. Maybe things have changed but the ford an GM additive used to come from the same tank, IIRC. That wouldn't surprise me in the least. That said, my understanding is that different LSDs require different additives. I think it was an Eaton unit where the instructions stated that synthetic lube should not be used so some of them are quite particular it seems. Ford and GM have the best additives, if your rearend needs it. 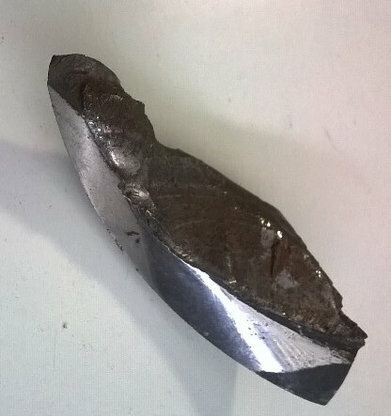 Different clutch,cones have different additive needs to prevent the chatter from them locking and unlocking. Does anybody have an updated p/n for the prop valve? Did a search. Sorry if I missed it. These are the parts you HAVE to switch. The M/C threads will be fine, but you HAVE to get this prop valve in order for it to have the correct threads you mentioned, which are the 1st design /early threads (1.0 MM pitch). E-mail me for any questions with this. 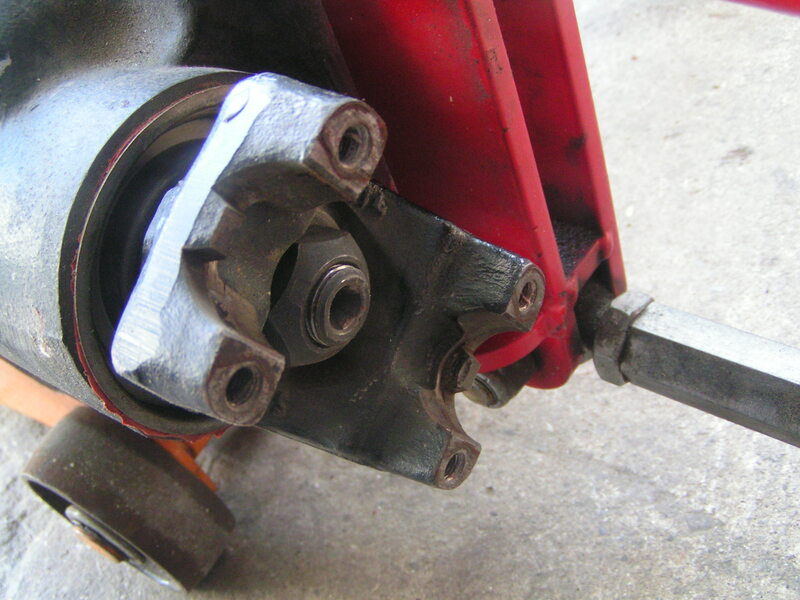 These are the only parts you will have to change now that you've done the caliper switch. ebmiller88 has another post where he lists the various prop valves and m/c's that were used by GM throughout the years. My 1985 originally had those dreadful J65 iron calipers. I now have the PBRs and I want to make sure I have the correct m/c and prop valve. Last edited by Parrydise7; 04-30-2014 at 12:43 PM. One axle was leaking real bad. With the help of a friend, it was removed last night. It appears the cheap chinese bearing fell apart after 2k miles and tore up the seal. I remembered I had purchased an NOS axle on ebay years ago, and decided to put it in my Dana. To my delight, it came prepackaged with a GM Performance Parts bearing/seal/race kit. The parts looked of MUCH better quality than what was removed. I took some pictures and attached them to the first post for historical purposes and documentation. For anyone doing a Dana 44 swap the stock GM 9 bolt or 10 bolt universal -joint does NOT fit... there is a cross breed u-joint Dana Spicer still makes it 5-436x I was able to cross this number at local Pep-Boys auto parts store GMB -0231. I couldn't recall having an issue when I installed mine. 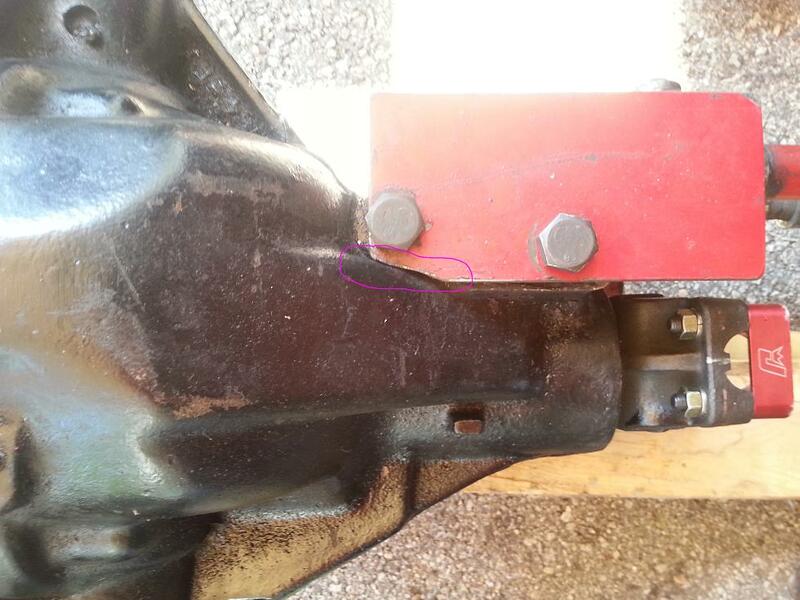 I pulled the rear axle today (for a re-build) and it turns out that UMI had anticipated this problem and provides two sets of bolts holes that eliminate any interference. As for the u-joint, if you're going to the effort to install something with the strength of the D44, then you may as well step up to a 1350 yoke. 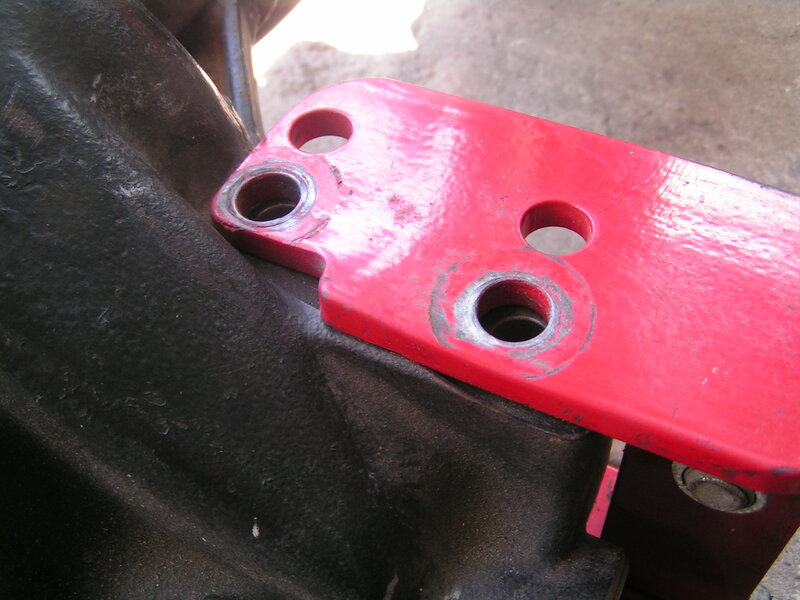 If you can't get the driveshaft built for the same, there are combination u-joints available that will allow the smaller 1310 to work with the 1350 yoke. Then it's only the driveshaft that has to be modified later. Also, if you want a stronger 8.89" 4.10:1 gear set, the '07-up Rubicon Dana 44 rear is the source, they're going for $40-60 used. Last edited by cosmick; 11-28-2015 at 06:02 PM. Anyone know of a good complete kit for bearings, seals,retainers ect? I have a d44 here for my car, but I need the aforementioned parts as well as brakes. I'd like to run factory 3rd gen brakes, this housing had will woods on it before I got it. Obviously goin to the dealer is out of the question. I purchased a master installation kit and all the associated bearings from Drive Train Specialists. I don't have a link handy however an internet search will turn up their website. There's a pretty good listing for the Dana 44. 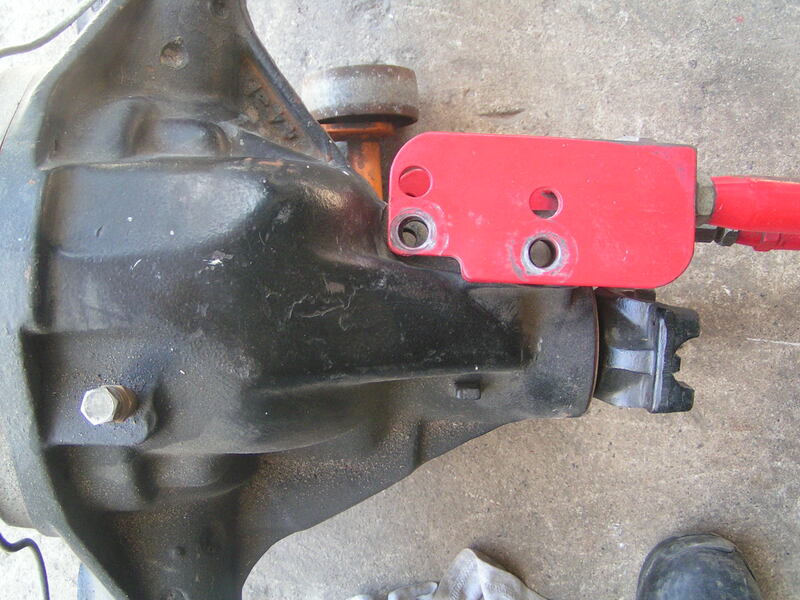 Later year 3rd gen PBR brakes will bolt onto the axle flanges unless its not an original GM issued 3rd gen rear axle. For what it's worth, I had better luck with a Yukon gear set than I did with the Richmond Sportsman gears I had purchased originally. In three attempts at setting them up, I (or I should say we as I eventually took it to a shop that specialized in 4 x4 performance builds. 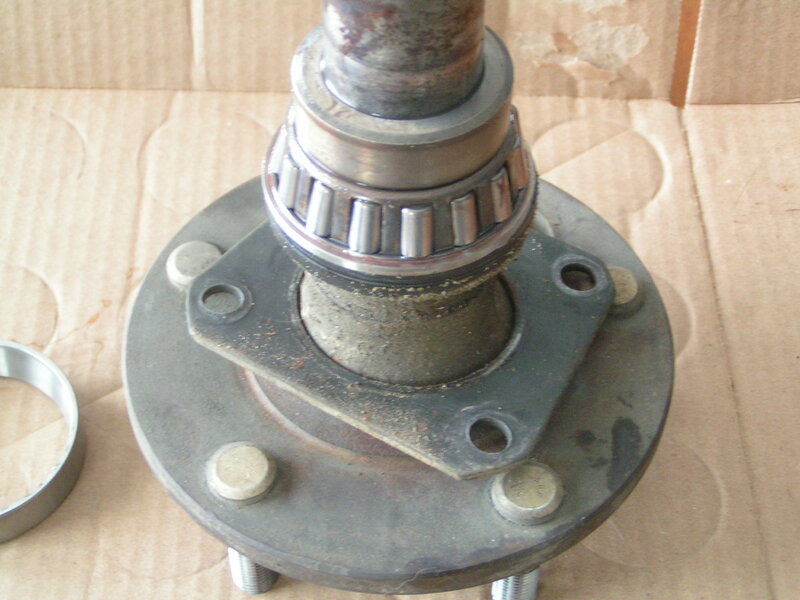 Its a popular truck axle.) couldn't get the gears to run quietly. With the Yukon set, there wasn't (as much) an issue. 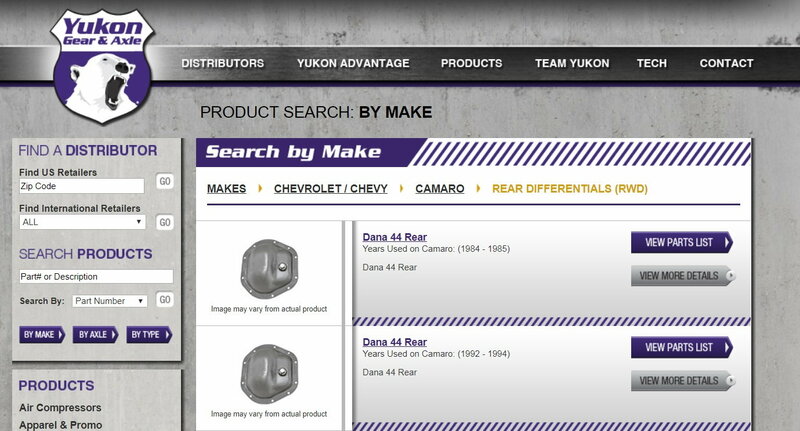 Interestingly, Yukon actually has a listing for the Dana as it was installed in the 3rd gen. That surprised me. Last edited by skinny z; 06-12-2016 at 03:18 PM. Anyone know if this kit would work on the fbody 44? Check out Drive Train Specialists and look through their listing of D44 parts. That's what I did years back when I was trying to figure the parts I needed. I doubt I still have that information as I've relocated my shop and a lot of that stuff (empty parts boxes with p/ns ) got pitched. That's not much help I know but for what I can recall, except for the reverse rotation axles and the specialty Corvette stuff, its all the same. 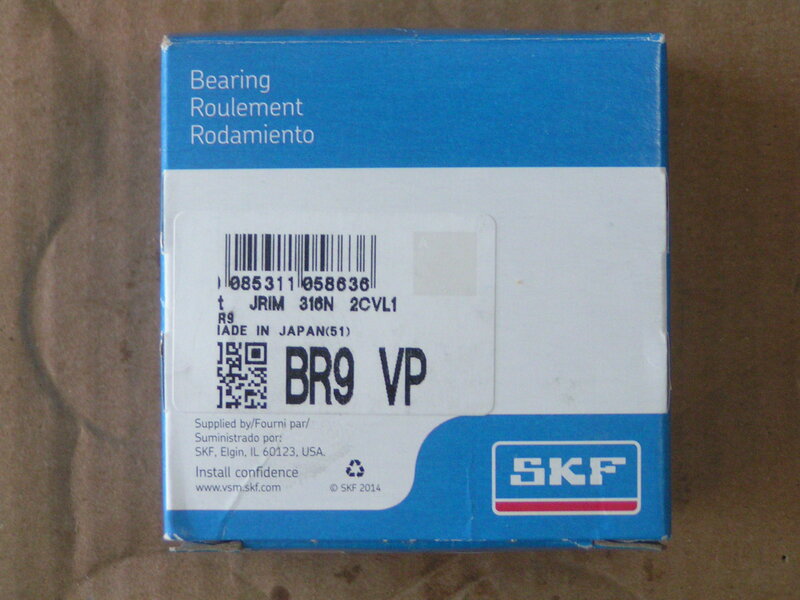 I cant speak for the bearing retainers (in the E bay picture) as there are a lot of different axle ends. The D44 for the Camaro used the same retainer as the 10 bolt (IIRC). I went on drivetrain specialists site and isn't see the outer bearings and retainers listed. Just parts for the carrier. I think I have it situated now though. Does anyone have updated part numbers for the bearings and seals? 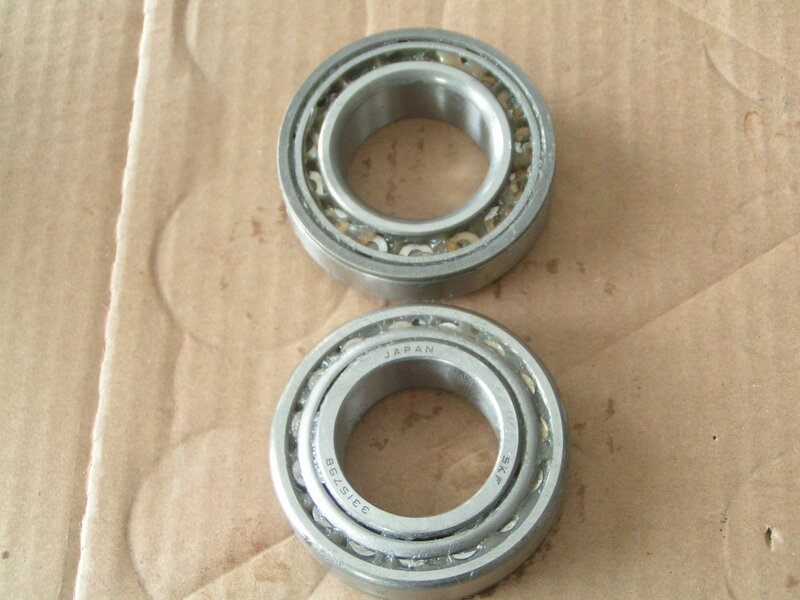 I'd prefer made in the U.S. bearings as I've had a couple of bad experiences with the off-shore parts available today. The bearing number I come up with is the same as posted here earlier. That's the Timken Set9. 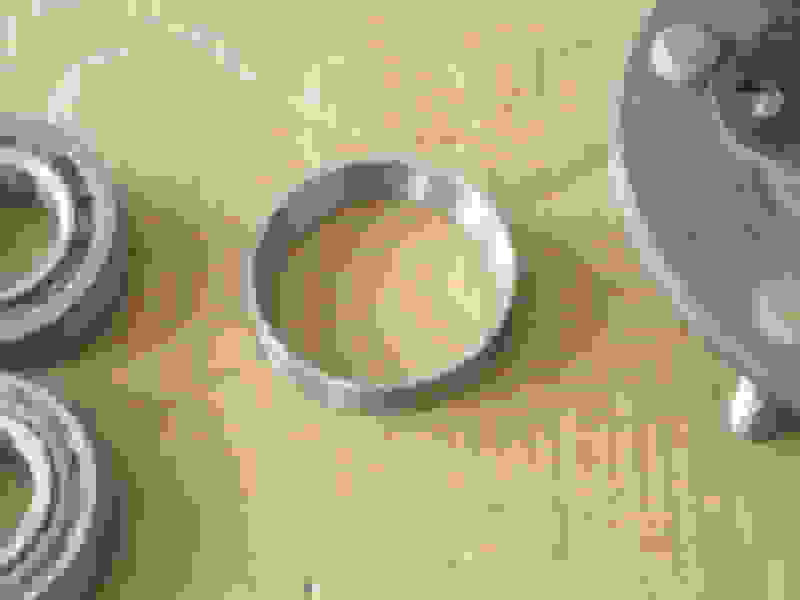 Problem is, the last set of Timken bearings I purchased were manufactured in India. They failed after only a few thousand miles. As for the seal, there's a post listing PN 2146. I assume that's still a Timken PN. Sometimes the cross reference catalogs don't work like I think they should. Can you read the original numbers off of the seals and bearings? If you can, you should be able to cross them over to whatever brand you want to use. I was hoping to keep the car as a roller while I collected parts. If it comes down to it, yes, I can always get the numbers that way. I kind of wondered if that was the plan. I have a D44 sitting around, not sure I could see the numbers tho. It would be buried behind the hardware so not likely easily seen. Thanks just the same. Somewhere in my files are the records of the previous rebuilds. Easier said than found though. That in itself is an interesting statement. Well, I actually I have 2 sitting around right now, had 3 at 1 point. Still looking for up to date axle bearing and seal part numbers. Ordering axle bearings led to a replacement part number. Seems the 2 piece style of the original BR9 (or SET9 if you're looking for Timken) has been replaced with an assembly. The race and tapered rollers are no longer separated. I'm hoping it helps with the poor fitment of the original design (with a race that sits in the axle tube). The axle seal is the same. 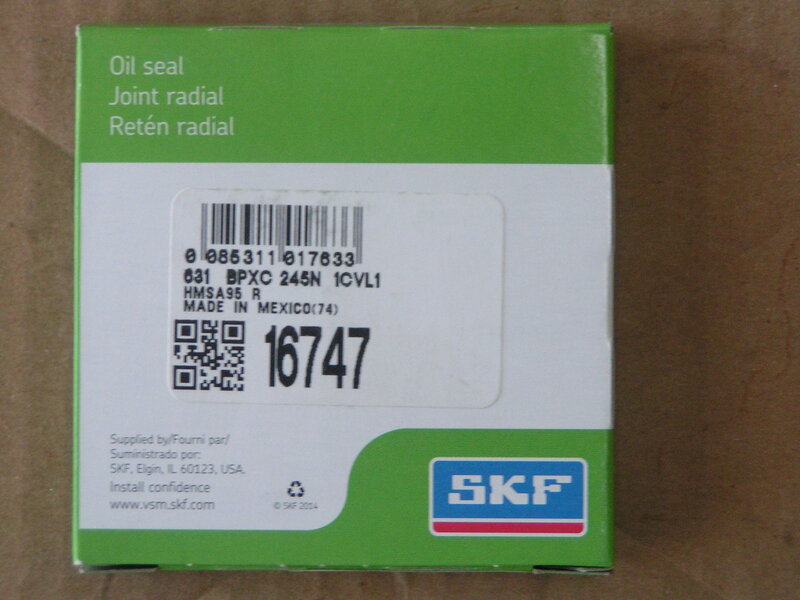 SKF 16747. New part number to replace the BR9. 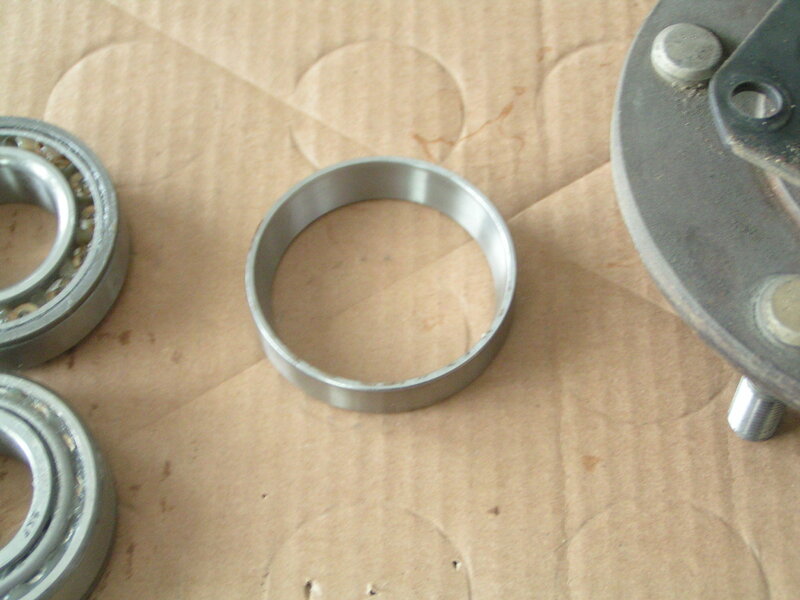 Tapered roller bearing inner assembly pressed onto axle. Outer race cup located in axle tube. 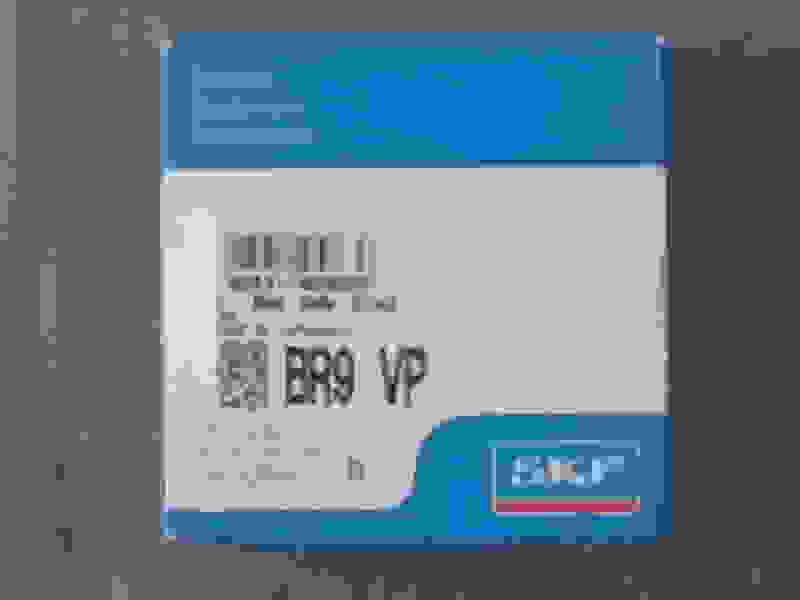 Same seal PN as before. from the back of the mounting flange to the end of the axle. Ebay link to the NOS Dana 44 with 3.92 gears and early delco disc swap parts. For $4500 I think I fella could get better parts. This isn't meant to cast a pall over a possible members potential sale (although it looks like it's gonna sell). Seeing as I have one and understand the limitations , I'm just throwing my two cents out there. That said, it IS a pretty neat piece of merchandise. Last edited by skinny z; 03-05-2018 at 09:54 PM. Interestingly, the NOS brakes might be of real value to someone doing a "correct" restoration wouldn't they? The rear end not so much as it wasn't OE but I'm guessing the brakes are PBR? Now here's a question. What's with all of the brake hardware? Master cylinder, prop valve, e-brake handle and cables...? I was under the impression that this was a direct swap for disc brake 10 bolt or BW 9 bolt. No? Maybe the e-brake cables as I had to source mine separately as I didn't have the PBR disc originally but the rest didn't enter my mind. GM used the dana44 for 10bolt issues/warranty and they were also in the GM performance parts catalogs as an otc upgrade. Its a great rear end for a nice mild street friendly car but its def not for everybodys hail Mary 5.3 twin turbo, 5 kit nitrous, 2,500hp build. I could even see this going to a collector that just wants to show it off in a display. So you're saying those are the Delco Moraine iron caliper discs? I'd agree, they're not worth much. When I did my brake upgrade I went with the PBR aluminium rears (along with the 4th gen "LS" fronts). I'm hoping my 44 holds up to some hard launches. No "hail Mary 5.3 twin turbo, 5 kit nitrous, 2,500hp build" here. I do expect 60' times in the 1.6x range with new slicks. So far it's held up to 1.7x although despite having been rebuilt a couple of times with two different gear sets (3 actually) it's still somewhat noisy between 50-60 mph. Not too bad but noticeable. Went from Richmond gears to Yukon at the request of my rebuilder. Yukon actually has a listing for a 3rd gen D44. I thought that was interesting. He spoke directly with their tech support after his first attempt was too noisy. He's a D44 specialist of sorts as the majority of his work is from the 4 x 4 crowd. He came through in the end. Last edited by skinny z; 01-25-2018 at 11:45 AM. Yup, Iron delco calipers. Perfect for restorations but not for me.. I hit 1.59 and and may 1.60s on the old 9bolt and never broke it b4 I went to the 9"
My 9 bolt blew up on my first 12 second pass. 3.70 gear went 12.98 @ 106 on a 1.78 60'. Running McCreary TrackStar treaded slicks at the time. Took a couple of teeth off (Still have them too as a souvenir). That's awesome. Have a shelf of broken stupid stuff in my garage too. I had stock 3.27 gears in my 9bolt but do have a set of 370s on the shelf for it. Mustang buddy saw it from the right lane. He would have never believed it if he didn't see it. Thinking of getting it engraved and using it as a key fob. Last edited by skinny z; 01-26-2018 at 11:51 AM. That's a cool idea but may slice a finger or even pants open!! It went for considerably less than $3k shipped. I was hoping it would keep dropping to well under 3, you get it? A few pictures when you get it would be appreciated. Shipping crate arrived today. Any particular shots you guys would like for the greater good of the thread? Am I able to remove the brake backing plates without removing the bearings? Or do I need to plan on ordering up a set of bearings and seals? I plan to run my PBR calipers from my current 8.8 setup.